2019-2020 Kindergarten Registration is now open for incoming Kindergarten students. Please mark your calendar for the Kindergarten Registration Event on Wednesday, April 10, 2019, any time between 4:00 p.m. and 7:00 p.m. at the elementary your child will be attending in the fall. Bring your child, your child's birth certificate and immunization record to the event. Steadily rising ISTEP scores have landed CPCSC among the top in the state! EAB Report - Standards Based Grading and College Admissions - HereThis report was presented at the August 21, 2018 school board meeting. DOE AWARDS WCHS ANOTHER AP AWARD! 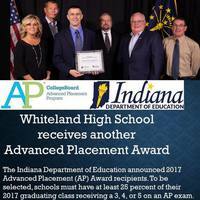 The Indiana Department of Education announced 2017 Advanced Placement (AP) Award recipients. To be selected, schools must have at least 25 percent of their 2017 graduating class receiving a 3, 4, or 5 on an AP exam. 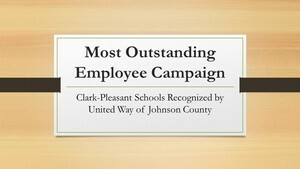 Clark-Pleasant was recognized by United Way of Johnson County for the Most Outstanding Employee Campaign in the Education Division for 2017-2018. Congratulations CPCSC! 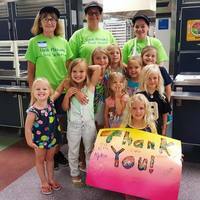 Clark-Pleasant schools raised more than $1 per enrolled student for the Riley Children's Foundation. 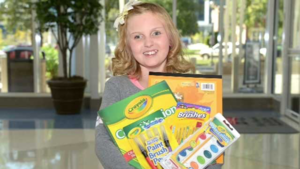 These funds benefit the families receiving care at Riley Hospital for Children. Emma Stumpf wins National Award. Tim Fish, teacher at WCHS, has been named AP-TIP IN Math Teacher of the Year. 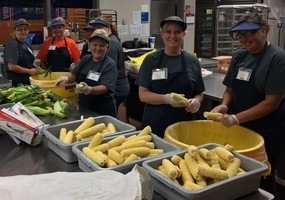 Teachers who earn the award are scored by a national panel of judges, who look at participation of students in their Advanced Placement program and the number of students who earn a passing score on their exam. Congratulations Mr. Fish - Great Job!